A few weeks ago I had the pleasure of being a guest on Jonathan Courtney’s podcast, The Product Breakfast Club to discuss my experiences as an author and CEO coach teaching Radical Candor in Silicon Valley and around the world. Below is a transcript of our conversation about the concepts of Radical Candor and how they can empower teams to do the best work of their lives. For those of you who’d prefer to listen than read, check out the podcast episode. I’ll let Jonathan take it from here. Co-Founder of AJ&Smart, a Digital Product Design agency. Nerdy-looking Irish guy. 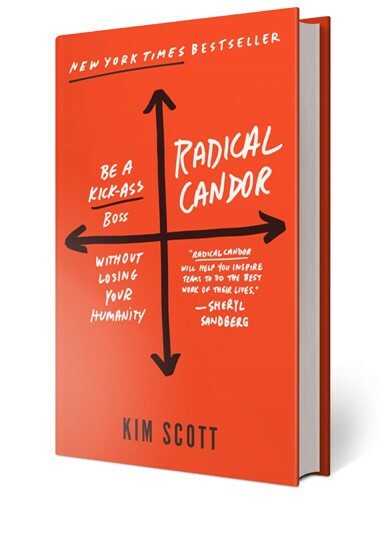 Jonathan Courtney: For anyone who doesn’t know, Kim Scott is the co-founder of Radical Candor, LLC, and is a well-known CEO coach in Silicon Valley. She was a member of the faculty of Apple University, where she did a lot of teaching. Before that, she worked at Google where she led AdSense, Youtube, and the DoubleClick teams. Earlier in her career, she was a co-founder and CEO of a software start-up, managed a pediatric clinic in war-torn Kosovo and built a diamond cutting factory in Russia. Kim: you need to chill, you’re making everyone else look bad! She also wrote this pretty spectacular New York Times bestselling book called Radical Candor: Be A Kickass Without Losing Your Humanity. Radical Candor was a book that just came into my life at the best possible time. It was when my agency, AJ&Smart was growing, and I was having a lot of struggles as a boss and CEO. New people were coming into the company and I was really struggling with delivering honest feedback and having hard and uncomfortable discussions that are often necessary when you’re running a company. I’ve got to be honest and say that I was a little bit nervous doing this interview because Kim is a total legend, but she was really, really great interviewee. I could have chatted with her for hours and hours, asking her endless questions about her career and getting her advice on my specific situation, however we only had 30 minutes and I was keen to GO DEEP into some of the stories she shares in the book and have her expand on them. Kim: She never she let her concern for our short term feelings get in the way of telling us things that we really needed to know, that we really needed to hear about. It was simple. It was challenge directly and care personally at the same time. That was the essence of good guidance, both praise and criticism. Kim: Your job as a boss is to make things clear to people and very often we’ll actually say the thing, but we won’t be heard. It’s our job to make ourselves heard. Sometimes the key to making yourself heard is to take a moment and to address the emotions in the room. To reassure someone that the reason you’re telling them this thing is that you care about them and that you care about their professional growth. Very often the job of the boss is to move further out on the challenge directly dimension. Sometimes giving feedback feels like you’re having to pick up a 2” x 4″ and hit somebody over the head to get through to them…It’s unkind not to be clear. If you’ve read Radical Candor then you’ll be familiar with the Bob story. The heartbreaking tale of a loveable employee and teammate, who everyone has a soft spot for, but who just isn’t performing. To cut a long story short, at the risk of hurting Bob’s feelings and/or looking like a jerk in front of the rest of her team, Kim Scott avoided giving Bob honest feedback, but as time went on she realised that if she didn’t let Bob go, she’d lose some of her best performers who had become disgruntled by picking up Bob’s slack, so she fired him only to realise that he would have loved, and appreciated, to have heard this earlier so he could have changed. Kim: I didn’t solicit guidance, praise and criticism, most importantly criticism, from Bob. I also failed to give him praise that was meaningful. The kind of praise I gave him was really just a head fake or an ego self. I failed to tell Bob when his work wasn’t nearly good enough. I failed to give Bob criticism. Probably worst of all I failed to create the kind of environment in which everyone would give Bob the kind of praise and the kind of criticism he needed to be successful in which everyone would tell Bob what was genuinely good about his work and also working with him but also would tell Bob when he was going off the rails. Because I had failed in all these different very important ways I’m now having to fire Bob because of it. For me personally, being liked as a manager was always something I’d prioritise over most other things. Regardless of whether or not the person was underperforming, I’d prefer that they liked me rather than addressing the issue, which of course isn’t the best thing for them, the company, or their teammates. Keep your star performers top of mind. Kim: It shouldn’t feel like calendar clutter, or something like that. That’s why it’s useful to do it over lunch, or over a coffee or taking a walk or in some way that the human connection is more likely to be front and center, than the updates or the agenda or anything like that. Care personally, challenge directly: it’s unkind not to be clear. 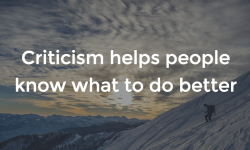 Being nice isn’t always nice: create an environment that evokes praise AND criticism. Keep your star performers top of mind: focus on bringing things from great to amazing, rather than bad to mediocre. Let your reports set the agenda for your 1-to-1s: anything is fair-game. Remember to praise: show people what success looks like. Managing people is hard, no doubt about it, and I think any managers reading this (if they’re honest) will admit that they too have fallen short at times and can relate with Kim’s stories, however by following guidance from seasoned pros like Kim and even implementing just 1 or 2 of the suggestions, you’ll be WAY further ahead than most, and your team will notice (and appreciate) your efforts. A version of this story was published on Medium by Jonathan Courtney.